In May 2014 The Beagle Freedom Project released nine beagles who had never known sunlight, kindness, touch, safety, or love from tiny laboratory cages. Their first taste of freedom was captured in this short video. The depth of their unbounded joy on their first foray onto grass and meeting and playing with other beagles cannot be captured in words. Please watch this video and share it with everyone you know. 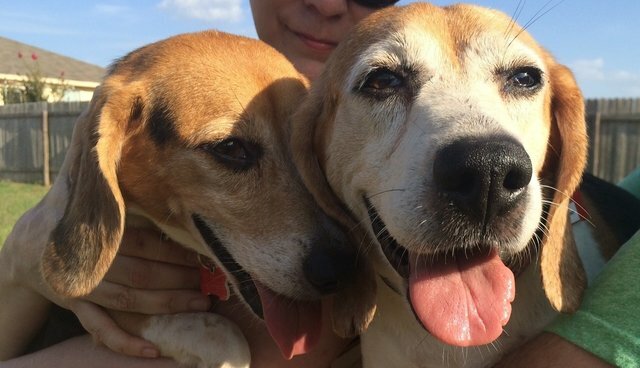 The beagles' forgiveness and resilience should be a model for all of us. Sometimes words just cannot capture what our eyes see, and this is one of those special cases. This video might be life changer and motivate people to come to the rescue of animals who have served us in one way or another and then are released to spend the rest of their lives living in peace and safety. We all need uppers in a world laden with rampant animal abuse, and this rescue is as good as it gets.